Guitar amplifier technology is constantly improving, especially in the lower end of the market as cheaper amps sound better and better as every year passes. But all these continual improvements sometimes make it hard to keep up. So, choosing one of the Best Guitar Amplifiers under $250 can be difficult. However, we’ve made the decision a lot easier by bringing you our Top 10. Each one is an excellent amp in its own right, but which one is our favorite and, more importantly, which one is the perfect one for you? 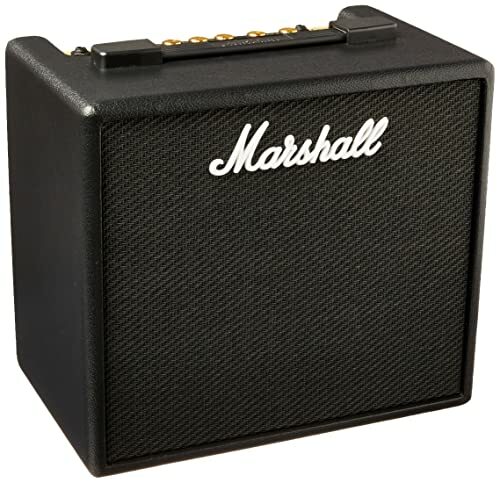 It’s impossible to talk about guitar amplifiers without the name Marshall being mentioned, so what better way to start this review than with the Code 25. The Code range was created to combine the Marshall legacy with modern state of the art technology. And this fusion led to the birth of one of the company’s most impressive and versatile digital products in its long and legendary history. Unlike the larger, more powerful Marshall amps, the Code range uses modeling technology and offers a wide choice of digital amp models, as well as, power amps and cabinet simulations. Whatever tonal possibility you can imagine can be dialed in easily. Whether you’re looking for glistening cleans or vintage crunches, they are all here. You can even mix modern high gain options with classic Marshall 100-watt or a British Class A power stage if you so desire. And, when you’ve got the tone you’re looking for, you can it run through a choice of cabinet simulations. If you want to add some effects, you have 24 to choose from. As for preamps, it has 14 including such classics as the JCM800, JTM45, JVM, DSL, and even the iconic Silver Jubilee. The amp allows full connectivity via either USB or Bluetooth. This allows you to remotely control all of the amps features via Marshall’s Gateway software. So, there is no need to even bend down to turn the knobs if you don’t want to. This software comes with an App for all mobile devices which also includes tutorials, patch sharing and more. Well, it’s pretty loud if you decide to turn it up, but is also great for quieter practice sessions. And some of the modeled sounds are really good, especially those of the JCM800. Amp modeling has come a long way in the last ten years and this amp proves it. Of course, some of the sounds do sound a little ‘digital’, but, all the whole, the sounds are very usable for practicing and smaller shows. A good sounding modeling amp. Massive selection of tones and effects. Marshall’s Quality Control on its lower-priced amplifiers is not the best with many buyers reporting dead amps on arrival. 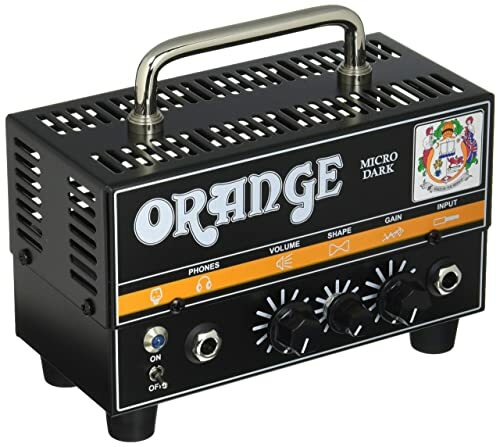 Moving on from the modeling technology of the Marshall, we move to another amplifier legend, Orange, who have adopted the old-school ‘an amp is an amp’ way of doing things. Their Micro Dark 20W Tube Hybrid Head is a combination of the company’s diminutive Micro series and their high-gain Dark series. It’s been given more gain than on the original Micro Terror, and it’s smaller in size than the Dark Terror. This 20W Orange features a single 12AX7 preamp tube for an authentic tube overdrive. This is paired with a quality solid-state power section and then formed into a small package that could fit inside a shoebox. What you end up with is a deceptively loud head with oodles of high-gain Orange tone. It’s incredibly easy to operate with only three knobs for volume, shape, and gain. This makes is very simple to dial in any tone you’re looking for without going through loads of modeling presets. Is it finally time to go Orange? Even though the controls are simple, don’t be fooled, they are very versatile giving you exactly what you want. And, if you turn the gain up, prepare for some serious, face-melting, high-gain tones at volumes that will surprise you considering the Micro Dark’s tiny size. It features a fully buffered FX loop, so integrates perfectly with all your favorite pedals. And you can use the built-in CabSim headphone output (which simulates the sound of a 4×12″ cabinet) either through headphones or as a direct out. Add a small 1 x 8 or 1 x 12 cabinet and the Micro Dark makes an ideal practice rig. Or if you want to go full-on! Plug it into a 4 x 12 cabinet and you could use it to play a stadium (with the use of a microphone and a PA system of course). Basically, the Dark Terror is an absolute brute! Its tonal range is amazing, especially considering the limited controls and the volume is very impressive. Very highly recommended. Please note, that this is an amplifier head, not a combo, i.e. it has no speaker, so a separate 1 x 12, 2 x 12 or 4 x 12 speaker cabinet will need to be purchased to go with it. This will force the price above the $250 limit of this run down. The only thing to mention, even though it isn’t really a Con, is that because of the size and weight, you have to be careful with your guitar cable because you can easily pull the amp straight off the top of a cabinet. Since this is a rundown of the best guitar amplifiers under $250, you would expect some legendary companies to be featured and we’ve already covered Marshall and Orange, so it’s time for yet another, Fender, with their latest version of the Champ. As with the original Champ, the Champion 40 is an easy to use amplifier which is versatile enough for any style of guitar playing. 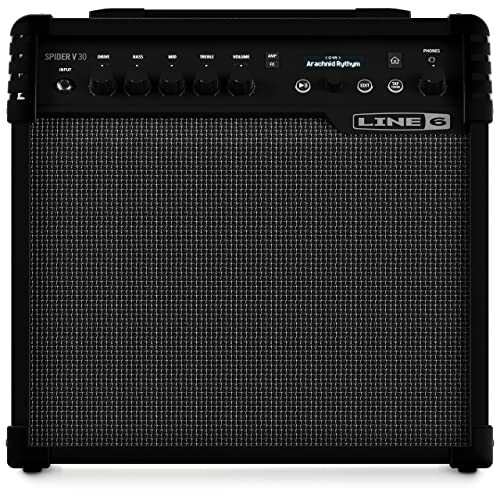 Its 40-watt, 1 x 12” design makes it ideal as a first practice amp and it’s loud enough to be used on stage for smaller concerts. The straightforward controls such as “FX Select” and “Voice” allow you to dial in any sound with ease by simply turning a knob. These controls, along with its cool effects (including reverb, delay and more), and the versatile British and modern amp voicings make it easy to get the sounds you’re looking for out of it regardless of which genre you enjoy playing. 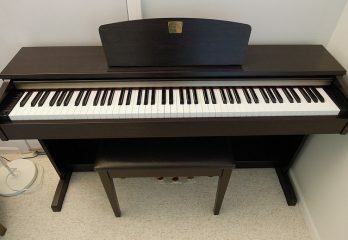 If you want to practice along with your favorite songs or some jam tracks, the Champion 40 is perfect. 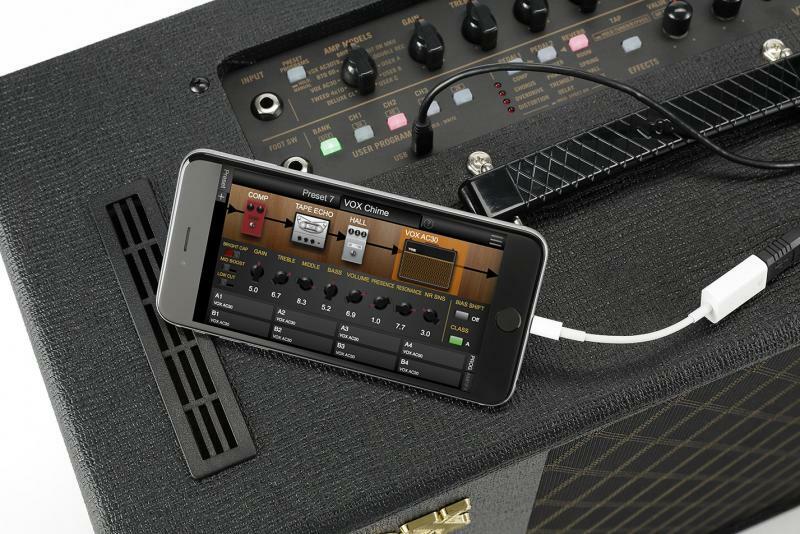 Simply plug your smartphone, MP3 player or even your computer into the amp auxiliary input and both your guitar and the audio track will come out of its speaker. There is also a headphone out if you want to do some late-night private practice. This is a great little practice amp. 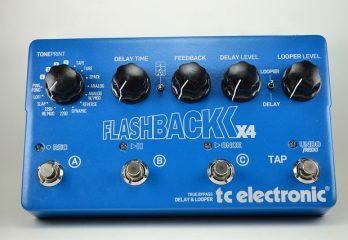 Its clean channel sounds sweet and thick, and there are several decent overdrive options. Its ‘metal’ voice has plenty of distortion along with a tight lower-mid range for as much chugging as you can handle. The onboard effects sound great and you can easily adjust the mix level to get the right mix for your sound. The tap tempo works well, and after adding some in-time delay and spacious reverb to the overdrive channel and you’ve got a classic lead guitar tone at your fingertips. Loud enough for smaller venues. 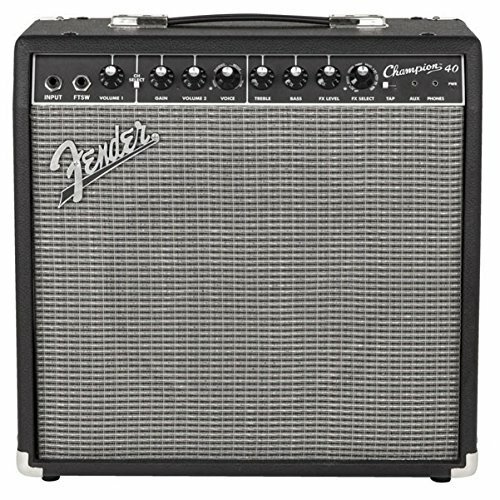 There have been reported warranty issues and Fender no longer offers a 5-year limited warranty on this amplifier, they have reduced it to a 2-year warranty. Which is a little worrying? Next up, and at the very top of our price range, we have the hand-built, tube-powered V5 from Bugera. Driven by the legendary EL84 tube, the V5 is a 5-watt Class-A valve amplifier with a cool vintage look and feel. The authentic 60’s preamp design has been re-created to deliver every sound you want from purring blues to mind-blowing crunch. And on top of all that it also features an 8” British engineered TurboSound speaker, which has a good midrange sound. As well as a power attenuator, that lets you reduce the output from 5 watts to 1 watt or 0.1 of a watt, and onboard reverb. Running it on 0.1 watt may seem ridiculous, but it is still more than loud enough for bedroom use and because you are running the amplifier harder the sound it produces is like a full-on 100-watt amp but at a much more manageable volume. It has no modeling, which will suit some, but not others. But does come with an excellent basic amp reverb. Interestingly, it even has a monitor light on the back that lets you know when a tube needs replacing, which is useful. The amp has a dark bluesy sound with a nice overdrive and has a great, bright clean tone as well. The build quality is solid, as for styling – it’s a good, classic looking amp. The straightforward controls allow ease of use and let you dial in the sounds your after with no trouble at all. It also takes pedals very well, making it a great choice in the price range for those looking for a ‘pure’ amp. A true, pure valve tone. Power attenuator allows you to run it hotter at less volume, keeping the neighbors happy. Valve monitor light to tell you when your tube will need replacing. No modeling, which is a Con or a Pro depending on your perspective. Some buyers have reported not liking the tone, saying that it only produces a dark and muddy sound. We did not experience this. 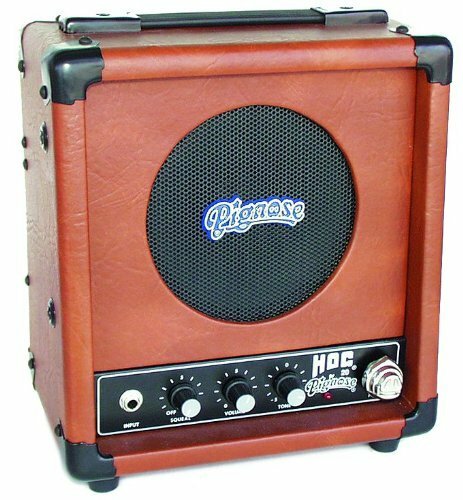 Like its many porky cousins, the Pignose Hog 20 Amp is portable and perfect for playing anywhere you like. And it even recharges its own batteries whenever you plug it into any wall outlet. It runs for up to 10 hours on a single charge or permanently on AC power. Staying on the charger for a second, it’s a Smart one. No that doesn’t mean that it’s passed lots of exams in charging things, it means that it will automatically stop charging when the batteries are full. Clever! The 11″ high 20-watt amplifier features a heavy-duty six and a half inch speaker. It has the very appropriately named ‘squeal’ overdrive control for all the crunchy rock tones you could ever need, plus volume and tone controls, as well as, inputs for a pair of instruments, and a headphone jack. Well, it’s a great, portable amp which is excellent for practice, busking or just playing wherever you want regardless of there being electricity there or not. It also sounds great, is more than loud enough for most, and you can plug in just about anything you like to it, obviously your guitar, but also a harmonica mic, keyboard, anything really? It has a classic retro look, and is also very nice to touch, with its leathery rock n’ roll feel. It’s also great with pedals, and you can also run them on batteries for a completely portable rig. 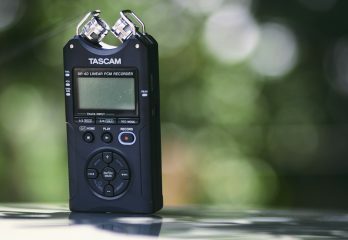 Highly recommended if portability and the ability to make some noise without the need for power is high on your want list. Even if it isn’t, it still makes a great practice amp for use at home. It comes with an adapter/recharger cable. Great sounds from the small size. Built with a nice sense of humor so tends to put a lovely smile on your face quite often. Not really loud enough to use for playing concerts. Some buyers complain that the weight, including the heavy batteries, doesn’t make it quite as portable as they would like. 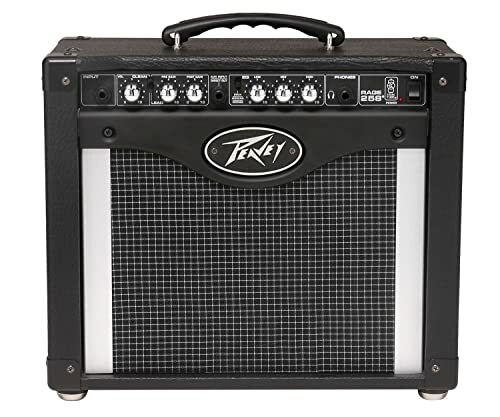 Peavey has been a serious player in guitar amplification for as long as most of us can remember. And they have manufactured some incredible amps over the years, most spectacularly, the stunning Peavey 5150, which is easily one of the best rock amps of all time. They also have one of the best reliability records of any amplifier manufacturer, and this has always been throughout their entire range, regardless of the price. Even, though they built the mighty 5150, Peavey is best known for their workhorse mid and lower-priced amps, which deliver great sounds and are built like tanks, the Rage 258, is one example of this. The 258 features Peavey’s TransTube technology and owes its sound to the exclusive designs of both its preamp and power amp. Firstly, the preamp tailors the gain to produce however much drive you need, from crystal clear to a thick, smooth sustain. The power amp section then reacts to this, just like a tube output section would, by responding to what the preamp gives it, and adding natural compression that increases as the amplifier gets louder. The TransTube produces a wide range of dynamics and a natural grit, that emulates, without the need for modeling, a real tube amp. In terms of features, it has Two switchable channels: clean and lead, a 3-band EQ, and a CD/smartphone input to play along with songs and backing tracks. It also has a voicing switch which allows you to change the sound of the amp between Modern and Vintage. This is the perfect amp for those who are looking for the basics done well. It is loud with a great sound, without all the bells and whistles that force the price up. If you want effects, then your going to have to buy some pedals, which will get you the best sounds anyway, so it’s a win-win. There is a known problem with hum when using the line out jack. 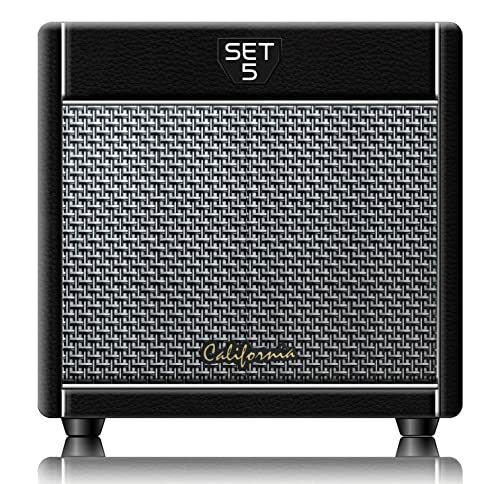 Next up we have a very affordable all-tube guitar amplifier from California Tone Research. It features a 12AX7 preamp tube and EL84 power tube in a single end tripod design for the purest tone. It is a Class A design, is rated at 5 watts and features an 8″ high output speaker. The cabinet is solid and well built, with the bottom, sides and baffle board being made from plywood, while the top and back are MFD. And it is built with good quality components, such as a fiberglass PCB and ceramic sockets. 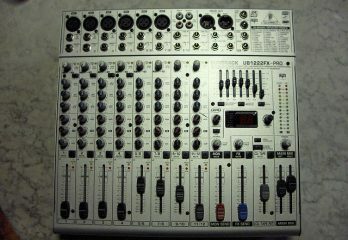 It is a single channel design, which is understandable for the low price, and has volume, treble and bass controls. On the back, it has two 1/4 in. outputs for connection to 8 or 16 ohms speaker cabinets. It is quiet and free of hum, even at max volume. It does, however, as do most new amp designs, get hotter than it should, especially the power supply, after approximately 15 minutes of being turned on. The amp sounds great out of the box; it uses Chinese valves, which are not the best, but will do a good enough job until you need to change them, preferably for some better ones. The speaker outs also give you the option of using external speakers. We found these to really improve the sound, so if you have some larger guitar cabs available, this is a great choice of amplifier to power them. It is available in red Tolex and black Tolex. ALL valve Class A design. Very well built for the price. Some users have reported that they don’t like the slightly boxy sound. We move from a few ‘pure’ amps back into the world of modeling with the Spider V from line 6. When you’re playing your guitar, it is often a case of less is more, but Line 6 don’t agree with this, and for them more is most certainly more. The Spider V is a fine example of this with more amp models, more effects, more practice tools, and more flexibility than most (if not any) amplifier. It features over a hundred carefully crafted presets, including whole Iconic Rigs, which are based on classic songs, as well as custom Artist Presets, and Line 6 originals. And, the Spider V won’t just make you sound better, it will also help you play better with its built-in practice tools such as real drum loops and a metronome. It also features an onboard tuner, and hands-free control by using the Line 6 FBVTM 3 Advanced Foot Controller. Featuring more than 200 amps, cabs, and effects models, it can provide you with a virtually limitless number of tones. Plus it lets you combine up to 8 effects at a time to create most of the sounds you can imagine. The modeled sounds are good but not great, to be honest. They are superb at showing off what sounds can be created, but in real-world scenarios, a lot of them don’t work that well. But, if you know what you’re doing and start from scratch, you can construct some pretty good tones fairly quickly. The iOS Spider Edit app is also quick and easy to use. And you can also download user-submitted tones through the app. If you search it by song or band names, it will return a list with a star rating for each tone. 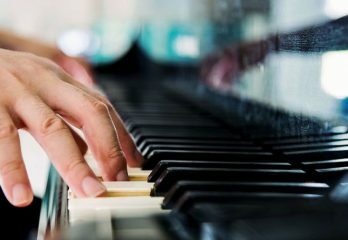 The 4-star tones are usually very good, especially at capturing the essence of the original sound — more than good enough for practicing and further tweaking. One negative about this amp is that the built-in drum loops are pre-recorded. 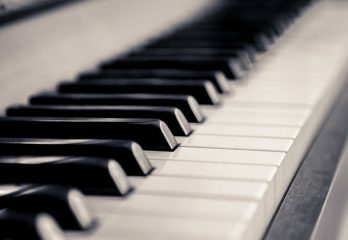 This means that you cannot adjust their tempo, so you either have to play with them as they are which could mean playing a song at a far slower, or even worse, far faster rate, or just not bother. It’s a good practice amp, and if you like modeled sounds, you may love it. And. If you’re accustomed to programming, it does offer a lot of possibilities for creating some really usable tones. It certainly is a jack of all trades, the question is… is it the master of any? A massive number of tonal possibilities. Excellent compatibility with the App for downloads and new presets. Comprehensive control if you buy the additional foot controller. Many buyers have complained about the average sound quality. 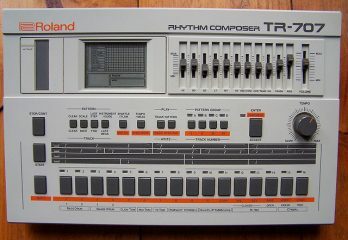 The built-in drum loops are pre-recorded, which means you cannot adjust their tempo. The metronome function is very basic by modern standards. Another modeling amplifier, this time from the legendary Vox, with their VT20X. Vox’s VET (Virtual Element Technology) is based on the analysis of the components of particular amp circuits. This allows their VTX amplifiers to produce very accurate and realistic amplifier sounds. It also has a multi-stage Valvetronix tube preamp. This incorporates authentic analog circuitry in order to create the subtle tonal adjustments and nuances that are a distinctive feature of vacuum tube amps. 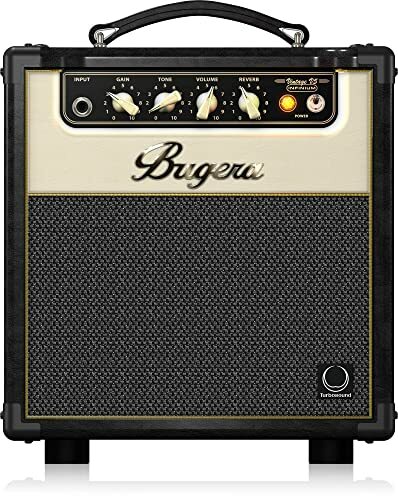 It’s rated at 20 watts, with a 1 x 8” speaker which is housed in a tightly sealed cabinet with a proprietary bass-reflex design to give an excellent low-end response. It features 11 very realistic amp models, 13 onboard effect, which are basic but of high-quality and 33 presets. A built-in tuner is included, as well as, USB connectivity and the ability to further enjoy the features by using either of the optional footswitches – the VFS2 or the VFS5. Well, in a word, great! It isn’t an AC30, but you wouldn’t expect it to be. It delivers exactly what you expect and more. The sound, we hate to say it, but, it does sound ‘tubey,’ in the classic meaning of the word, which is incredible for such a cheap amplifier. It’s as quiet as a church mouse when it comes to hiss, but loud enough on volume to have fun practicing at home. It is simply a beautiful amp that has been very nicely made. Some of the best tones you’ll get from any modeling amp. Legendary Vox name and reliability. Some buyers have not been impressed with the modeled sounds; we did not experience this and found them far better than most. Finally, in this rundown, we have one of the least expensive amplifiers we’ve covered, the Fly 3 from Blackstar. This is an innovative two-channel (Clean and Overdrive) mini amp with 3 watts of power and a big tone. The patented ISF circuit used gives you unlimited adjustment over the exact characteristics of your tone and gives you the American sound, the British sound, or anywhere in-between. 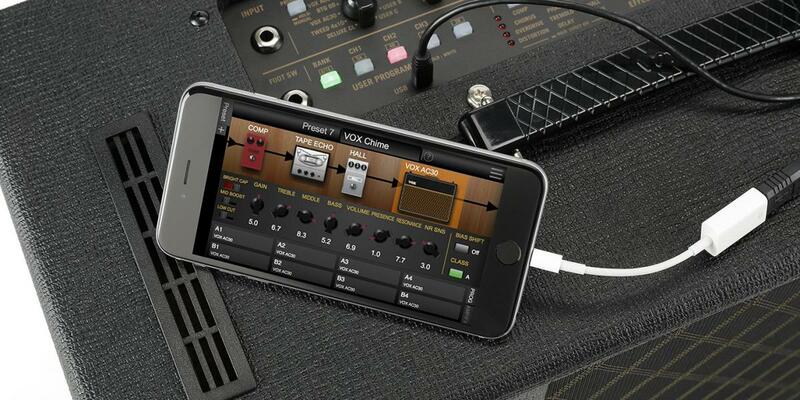 It features a nice ‘tape’ delay effect which can add a lot of life to your tones, as well as, an MP3/Line In socket that allows you to connect your FLY 3 to any MP3 player, smartphone, PC/laptop or tablet to play along with your favorite songs or backing tracks. The amp can also be powered by batteries, so you can have fun playing it anywhere. Mini amps have been around for a good while now, and there have been micro-sized amps from Marshall, Pignose, Fender, etc. on the market for several decades. But what’s changed is that they now actually sound great. The early ones were fun to play with but really didn’t sound that good. And the Fly 3 is one such great sounding amp. It actually puts out a quality tone which will make you want to practice with it, which is quite unlike the earlier mini-amps. The clean channel does what you expect it to and ranges from completely clean to slightly crunchy. While the OverDrive channel gives you much thicker, grainier overdriven tones. Blackstar decided not to include a reverb because the circuitry involved is very power-hungry, they instead included a simulated “tape delay” which is easily adjusted for delay level and repeat time. This is a superb feature because you can set the delay to simulate a “room-like” ambient reverb effect. Or, if you prefer, it can be used as a more traditional delay, setting it to quarter or eighth notes. It doesn’t have all the features of a dedicated delay pedal, but it’s still excellent if you consider it’s an add-on to an inexpensive amp. It does not come with a power adapter. 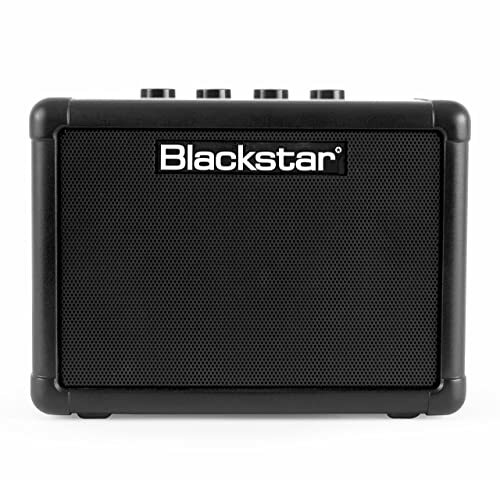 However, Blackstar sells a very reasonably priced expansion kit, that includes both the adapter and an add-on speaker cabinet which can be plugged into the back of your amp, which doubles the output. The Fly 3 is an amp that can literally go anywhere. And, it’s good enough and versatile enough that you’ll actually want to play it. It’s really worth a look from any level of guitar player looking for such an amplifier. Great sounding for its small size and low cost. Quality control is not the best. A number of buyers have complained of electronic buzzing and squealing sounds coming from their amps. So, What Is The Best Guitar Amplifier Under $250? We’ve gathered together a collection of what we think are the 10 Best Guitar Amplifiers under $250 currently on the market. All are excellent choices and which one is best for you, will depend on a few factors. The first is, do you want a real amp or a modeling amp? Only you can answer this question. Modeling amplifiers have the advantages of lots of in-built tones, effects, tuners, etc. But they also have the disadvantage of sounding a little ‘digital’. Real ‘pure’ amplifiers have much fewer options, but they sound like guitars do on records and in live concerts. Modeling technology is constantly improving, but it still isn’t quite there yet. But, that said, many would prefer access to loads of sounds and effects with a small reduction in the quality of the tone. This could be you? 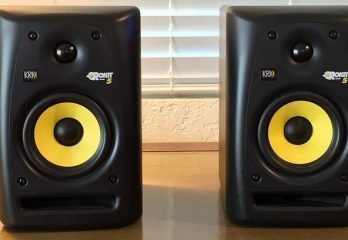 If so, modeling amps are a great buy. After you decided which side of the modeling fence you sit on, then it’s simply a matter of budget and/or brand loyalty. Because of this difference of opinion, we will be selecting two winners for this rundown, one non-modeling amp and one that does model. It won because it just sounds so good. Plug it into anything, and it sounds fantastic, plug it into a good 4 x 12 cabinet, and you’re ready to play your first World Tour! It’s just all Pros and zero Cons; it really is that good. The Line 6 Spider V does much more than it, but nowhere near as well. And we would rather have fewer great tones to play with, than a lot of very average ones. 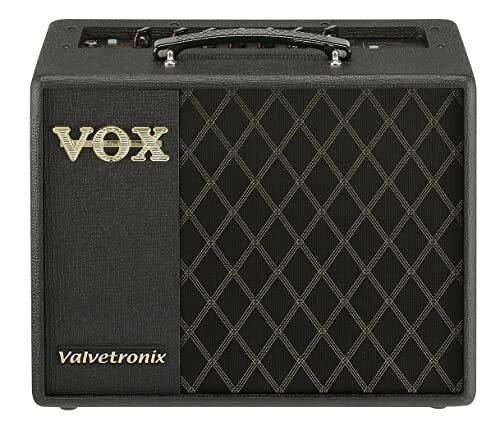 It also has the classic Vox name and legendary reliability. So, there you have them, the best of the best guitar amplifiers for under $250. We know which ones we like, do you agree? If so, go get one and raise your guitar playing to the next level.